This book focuses on how the US could adapt its foreign policy initiatives to fit in with the growing aspirations of a multipolar world for a more balanced international order. Written by leading scholars, such as Joseph Nye, Eric Hobsbawm and Akira Iriye, the volume examines if the absence of a superpower status would lead to anarchy, or if an alternative is possible. 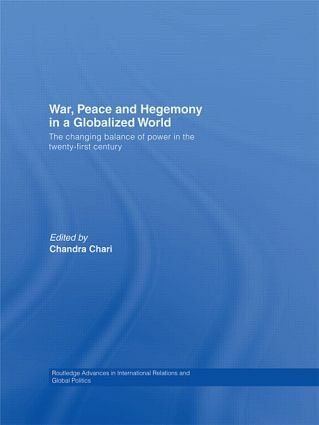 In view of the globalization process and the changing perceptions of US hegemony in the various regions of the world, it addresses the possibility of re-examining and redefining the nineteenth century classical balance of power. each region of the world in the context of the unfolding processes of globalization; the various ways in which economic and socio-political organizations are impacting inter- and intra-regionally; and the role of the United States vis-à-vis the individual countries and regions. West Asia: Is there an alternative to sole super-power hegemony?